The Truman Public Relations Office has selected Jacci Guthrie, a senior communication major and Spanish minor, as intern for the Fall 2014 semester. Guthrie is from St. Charles, Mo., and a 2011 graduate of Francis Howell High School. She is the daughter of Theresa DePaepe and Jack Guthrie. As the intern for the Public Relations Office, Guthrie will help write the online University newsletter, Truman Today, and the University’s magazine, the Truman Review. Guthrie will also aid in planning Family Day, write press releases and fulfill other office tasks. On campus, Guthrie is the VP of membership education for Alpha Sigma Alpha social sorority, works with the University Conduct Board and serves as Truman’s campus liaison for Target. She previously spent a semester abroad in Argentina where she expanded her knowledge of Spanish and the porteño culture. Guthrie hopes to gain valuable real-world experience from her time as the Public Relations intern this semester. 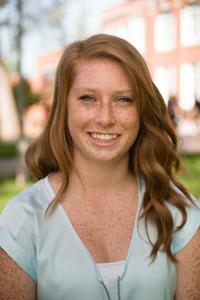 She plans to pursue a career in public relations, advertising or management. Truman continues to work its way closer to the top of yet another prestigious college ranking. Truman has improved to take over the No. 2 spot in the Best Master’s University category of the 2014 Washington Monthly College Rankings. Additionally, Truman was the No. 1 public school on the list and had the lowest net price in the top five. A fixture in the top 10, this marks the third straight year Truman has climbed in the rankings. 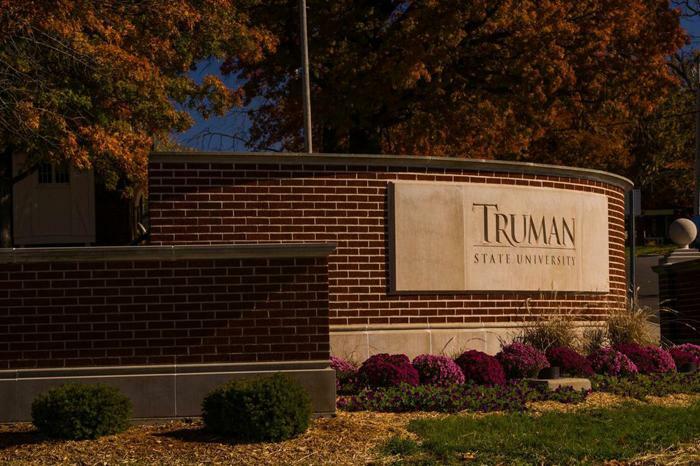 Truman is the only Missouri school on the entire top 100 Master’s Universities list. Washington Monthly is a bimonthly nonprofit magazine covering politics, government, culture and the media. The college guide and rankings appear in the magazine’s September/October issue. The complete 2014 rankings and feature stories can be found at washingtonmonthly.com/college-rankings. 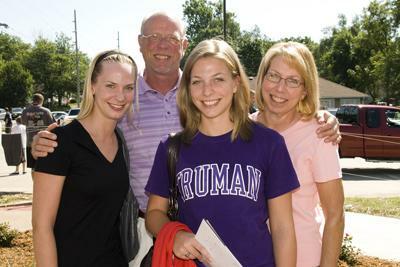 Truman’s annual Family Day is scheduled for Sept. 13 and the campus has a variety of activities planned throughout the weekend for students and their families. This year’s events are designed to provide families with information and entertainment from the University and the surrounding Kirksville community. Friday, Sept. 12, the women’s and men’s soccer teams will play the University of Illinois-Springfield. Afterward, Fireside Friday will be in the Student Union Building HUB from 4:30 to 6 p.m. There will be live music and food. Saturday, Sept. 13 kicks off with a Truman baseball scrimmage at 10 a.m. Library tours will also be available from 10 a.m. to 12 p.m.
At 10:30 a.m. at the YMCA, Phi Kappa Tau will host a Paint Party 5k fun run where participants will be covered in colored powder at various points along the course. Proceeds will benefit the YMCA and the SeriousFun Children’s Network. The Truman softball team will have a scrimmage at 11 a.m. The University Art Gallery Faculty Exhibit runs from 12-4:30 p.m. In the Centennial Hall Courtyard from 1-4 p.m., there will be the Annual Festival Centennial. The Student Activities Board is hosting “Campus Feud,” a Family Feud-type interactive game show, at 4 p.m. in the Baldwin Auditorium. The campus-wide barbeque is from 5-6:30 p.m. on the Student Union Mall (rain site: Student Union Building). Tickets are $8.50 per person, and students with a meal plan can eat for free with their Truman ID. Barbeque tickets can be bought online at store.truman.edu/familyday. At 7 p.m., the Bulldog football team plays Langston University at Stokes Stadium. General admission tickets cost $8. Sunday, Sept. 14, the women’s and men’s soccer teams play the University of Southern Indiana. Truman’s volleyball team also plays Lewis University in Pershing Arena. A complete detailed schedule of events can be found here. For more information, email pr@truman.edu or call 660.785.4016. This season the Lyceum Series will also feature Rhonda Vincent Nov. 14, “The Great Gatsby” Feb. 14, “Seven Brides for Seven Brothers” March 3, and “Much Ado About Nothing” March 20. All events will take place at 7:30 p.m. in Baldwin Auditorium. Tickets will be on sale a week before the event. Students can pick up their free ticket by presenting a Truman ID at the Student Activities Board Box Office, located in the lower level of the Student Union Building. Faculty and staff can receive their free tickets by showing their Truman ID at the Information Center in the Student Union Building. General admission tickets cost $10 and can be purchased downtown at Edna Campbell’s, the Truman Cashier’s Window in McClain Hall or online at lyceum.truman.edu. This fall the Global Issues Colloquium will feature four main events to help raise world awareness on campus. The first event in the series “A New Ukraine” will take place at 7 p.m. Sept. 4 in Magruder Hall 2001. David Robison will discuss Ukraine’s troubled past and his positive outlook for the country’s future. Robison has made regular visits to Ukraine since 2000, including a recent two-week visit. Next, the series will present “Learning from Latin American Social Movements” at 7 p.m. Sept. 18 in Magruder Hall 2001. Co-sponsored by the Multicultural Affairs Center, the event will explore how independent Latin American social movements over the last decade have been a driving force for change. Co-sponsored by the President’s Sustainability Action Committee, the third event, “Creating Life-Sized LEGOs for a Global Village” will take place at 4 p.m. Oct. 22 in Baldwin Hall 176. Founder of Open Source Ecology, Marcin Jakubowski, will describe the development of the Global Village Construction Set, a set of 50 machines crucial to modern life. The series will finish with “Twitter as a Communication Tool in Crisis Situations” at 7 p.m. Nov. 20 in Magruder Hall 2001. Associate professors of communication Don Krause and Mark Smith will examine the use of tweets surrounding the 2013 Boston Marathon bombing versus Twitter use during the recent civil unrest in Ferguson, Mo. Sponsored by The Global Issues Committee, the series is presented for educational or civic purposes and does not reflect the opinions of Truman State University. For more information, visit globalissues.truman.edu. 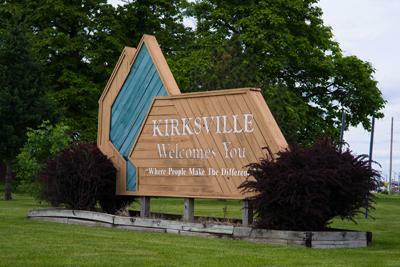 The Kirksville Area Chamber of Commerce Retail Merchants Committee and Kirksville businesses are inviting all new Truman students downtown for a Kirksville welcome, from 5-7 p.m. Sept. 7 on the square. There will be free food for students presenting a Truman ID. For more information, call 660.665.3766. 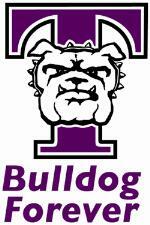 During the school year, many Truman offices and student organizations will want to create Truman State University related memorabilia with the name of the University or one of the University logos. The University does have a logo and style guide that contains standards for consistency for the Truman identity system, and if anyone is interested in using the name of the University or its logos, those specific guidelines must be followed at all times. Because the name and logo are licensed, it is best to work directly with the Publications Office on how the name or logo might be used. Information on the main variations of the logo can be found online at publications.truman.edu/logoUsageGuide.asp. For questions concerning use of the Truman name or logos, contact the Publications Office at 660.785.4692. Bicycling is a popular mode of transportation for many to and from campus. 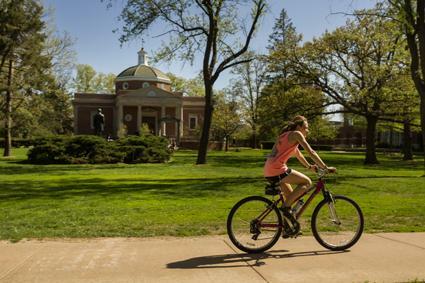 The Department of Public Safety wants to remind all cyclists of the campus guidelines. Anyone operating a bicycle must obey the same traffic control regulations that apply to cars and motorcycles, such as stopping for stop signs and riding in the right-hand portion of the roadway. Bicycles ridden after dark must be equipped with a headlight, large red reflector on the rear, and white or amber pedal and spoke reflectors. • be left in campus bicycle racks. Bicycles which are illegally parked are subject to parking tickets and/or confiscation by the Department of Public Safety. Bicycles should be ridden on streets, not on sidewalks, lawns or parkways that are property of Truman. Students are strongly encouraged to register their bikes with Public Safety. Registration permits are issued free of charge. More information may be found here. Minor Detail, Truman’s all female acappella group, is looking for new members. Auditions will be held at 7:15 p.m. Sept. 2 and 3. For more information, contact Calli Lowry at cjl2764@truman.edu. The Environmental Studies Minor Committee will host a reception for all interested students, faculty and staff at 4 p.m. Sept. 3 in the Student Union Building Alumni Room (2105). Light hors d’oeuvres will be served. Come network and socialize with interested campus community members, and learn about upcoming Environmental Studies-related events. Contact Jason Luscier at jluscier@truman.edu or 660.785.4612 if you have any questions. Ever thought about ways to include studying abroad on a resume or an application? “How to Market Study Abroad” is a short session where a representative from Truman’s Career Center will inform you on the multiple ways you can apply all of the benefits of your study abroad experience. The session will be at 5 p.m. Sept. 3 in the Student Union Building 3202. The Center for International Education Study Abroad invites all Truman students to an open house from 2-5 p.m. Sept 4 in Baldwin Hall 118. This is a required class to drive Truman State University fleet full-size vans. Student drivers must also complete Waiver of Vehicle Usage Policy form available on the Department of Public Safety website. Participants must sign up to attend. Allow 2-3 hours for the class. Call 660.785.4177 or email joycecook@truman.edu. redcrossblood.org, sponsor keyword: TrumanState. Sign up tables will also be advertising the drive the week of Sept. 2 and Monday, Sept. 8. The Truman community is invited to attend the 22nd Annual McNair Program Research Presentations. Schedule and abstracts are available at mcnair.truman.edu. Representatives from the Center for Academic Excellence, University Counseling Services, the Office of Financial Aid, Athletics, the Registrar’s Office, Residence Life, Disability Services, the MAE Program, the Career Center, and the International Studies and Study Abroad offices will all be in attendance to answer questions. Academic advisors will be available to discuss TruView, DegreeWorks and the advising helpline. Sub sandwiches and chips will be available. No RSVP is necessary. Sponsored by the Center for Academic Excellence and the Academic Professional Development Center. You are cordially invited to attend a celebration and tree dedication honoring the life and contributions of Dr. Teresa Heckert (Sept. 12, 1968-Feb. 18, 2014). Remarks and Tree Dedication at 3:30 p.m.
RSVP preferred by Sept. 9. Please specify the event when submitting an RSVP via phone or email. RSVP to the Office of Advancement, 800.452.6678, 660.785.4133 or alumnievents@truman.edu. For more information, contact Brad Chambers or Becky Pike at 660.785.4133. The race location for the Family Day 5K on Sept. 13 has had to be moved to the Adair County YMCA. In order to be guaranteed a t-shirt, participants should sign up by Aug. 27. Proceeds support the YMCA and the SeriousFun Children’s Network, which provides positive, recreational experiences to children with serious illnesses. For more information, email aab8874@truman.edu. Sponsored by Phi Kappa Tau fraternity and the Adair County YMCA. Check-in starts at 9 a.m.
International Friends is a semester-long program with an aim to strengthen the bonds between international students and the Kirksville community. This program provides international students with the opportunity to experience a taste of real American life and culture by spending time with American families. In return, the international students are also able to share their culture with Americans. Everyday things can be a new experience for an international student. Being an International Friend is a rewarding opportunity for both the student and the family. It is a wonderful way for each to gain a better understanding of another culture and build lasting ties between Americans and people from all parts of the world. For more information, contact the International Student Affairs Office at 660.785.4215 or trumanisao.friends@gmail.com. The Multicultural Affairs is looking for several eager Truman students to be a part of the 2014-2015 MLK Challenge Committee. These students will help make a day OFF a day ON by honoring the life and legacy of Dr. Martin Luther King, Jr. To apply, visit mac.truman.edu/web/form_builder2/form_builder.asp?testId=980. Applications are due by 5 p.m. Sept. 12. Questions regarding Truman social media can be directed to Jeremy Brinning (jbrinning@truman.edu) for main accounts, Cait Kern (caitk@truman.edu) for alumni-related accounts and Tyler Madsen (madsen@truman.edu) for athletic-related accounts. Truman is known for having a large number of clubs and organizations. Many such organizations host informational meetings at the beginning of the academic year and at peak times, eight to 15 events will be listed each day. Information about those meetings may be found on the Master Calendar at truman.edu/event. If a chartered student organization or a recognized department/division/program at Truman would like to have an on-campus event listed on the Calendar, click on the “Submit an Event” button on the top left side of the page. Users can also export Master Calendar events by clicking the “iCal Feed” button at the bottom of the page.